Global Health Visionary Alternative – An Ancient Art Brings The Dawn Of A New Age! WELCOME TO A LONGER, HEALTHIER LIFE …..
An Ancient Art Brings The Dawn Of A New Age! Our hope for The Qi Wellness Center is to provide a true healing center that is beneficial to people from all walks of life by offering dynamic and lasting healing methods. The experience is easy and simple and can be applied to all types of illnesses, both large and small. of $125.00 Today and Receive a Free Book! Global Health Visionary Alternatives (GHVA) is a Non-Profit 501C-3 wellness organization. Providing Stress Reduction Programs and Healthy Lifestyles to You, Your Family, Your Community, The Environment and Around the World. 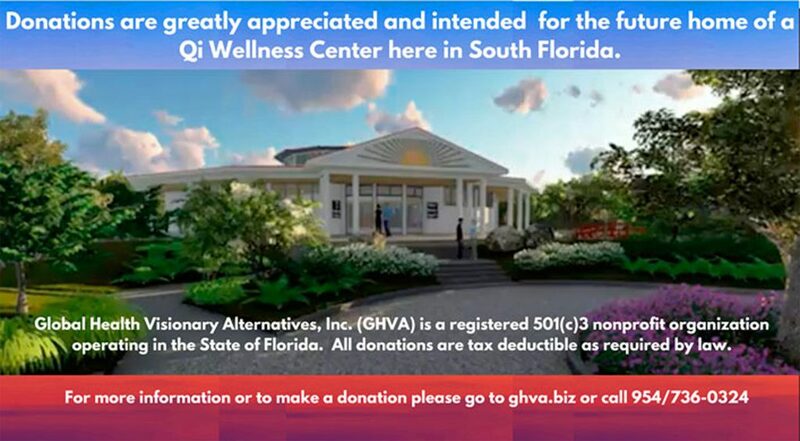 We welcome all Donations to help us establish The Qi Wellness Center in South Florida, whereas to share these ancient teachings of LAMAS Qi Gong for the prevention and management of the “Stress” in your Lives. What is LAMAS Qi Gong? LAMAS Qi Gong (or “Dao Yin” Qi Gong) is a comprehensive therapeutic exercise system that combines physical movements, mental visualization and regulation of breath. It is designed to guide and generate the free flow of energy throughout the body, maintaining the harmony of Yin and Yang, which promotes health and a greater sense of well being. 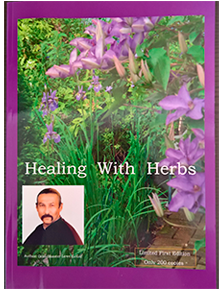 Grandmaster Lowe said – “Stress is the Genesis of all Disease”. Our modern society is under great stress that contributes to the decline of Human health. Grandmaster Lowe teaches LAMAS Qi Gong Stress Elimination techniques and therapy for promoting a healthier lifestyle. including special offers and discounts.